All proceeds fund scholarships for underprivileged and special needs children so that they can join in the riding program at ROMA’s Clydesdale Farm. 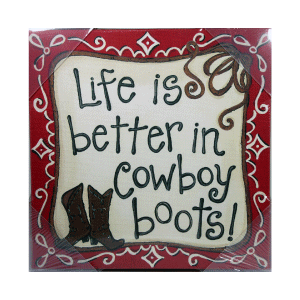 Life is Better in Cowboy Boots Sign. 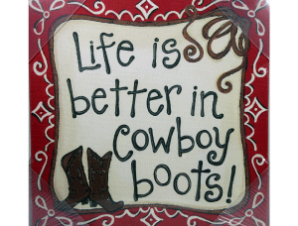 All proceeds fund scholarships for underprivileged and special needs children so that they can join in the riding program at ROMA’s Clydesdale Farm.